Hello! Yes, I am still here, I just took an unplanned blogging break this week. I have still been sewing, but mostly filling etsy orders and working on my Patchwork Prism (all the rows are together and just a few more long seams to complete the top!). The recipient of my Zakka Squares Quilt made her debut this week, so I spent the morning watching the boys while embroidering her name on it in my screened porch. Perfect weather here in the Carolinas today! I'm happy to get to take Emily's family a meal tonight and get a peek at her! This is one of my etsy orders this week. I made these using my Fussy Foldover Basket tutorial and some precious Heather Ross Far, Far Away II fabric. I also feel a little connection with Atlantic City that makes it more fun. About the time Boardwalk Empire is set (1920's), my mother's grandparents decided to get married. They were both from huge (double digit kids) Irish Catholic families and my grandmother was very young and expected to help out at home with her siblings for a few years before getting married. So, they decided to get married secretly at the Cathedral in Pittsburgh, PA. A neighbor saw them waiting for the mass and told my great grandmother straightaway. She marched to church and took my grandmother home. Naturally, they couldn't be stopped so easily and ran away to Atlantic City and eloped that evening! My Nanny spent most of her life trying to get back to Atlantic City. Like most Pittsburgher's they vacationed at the Jersey Shore and we would join them for a week most summers, even after we left Pittsburgh. As soon as I turned 16 and had a license she would tell me to "put on a lot of makeup and a hat" so I could pass to get into the casinos. She never had a license, so she always needed a driver! Most of my life, AC has been such a run down place, it is really fun to see it in its glory on this show and think about how much fun my grandparents must have had eloping there so many years ago! 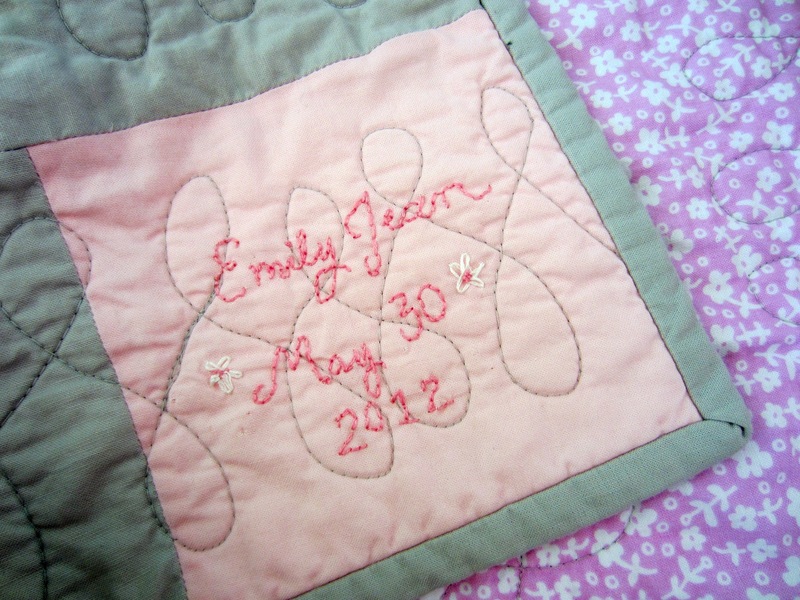 You can also see how I did not learn to sew from the women in my family! No one sewed! However my grandmother did teach me that a house full of people to cook for is one of the best things in life, and if you cook and entertain you will never be lonely. It is a good lesson, too. I love the story about your Grandma! And I hope you and Andrew have HBO and DVR'd the second season because it is not on DVD yet, and my husband and I are anxiously awaiting its release! Oh Courtney, that is such a lovely story about your Grandparents. Your Grandma sounds like a real gem. My Grandma was the same. She was a Scots Presbyterian who wanted to marry a Catholic - a very big no no way back then. At the wedding his family refused to come but insisted the children be raised Catholic. My Gran agreed then when my Pop was at work she wisked them down the local Church of England church and had them christened to thumb her nose at both families. What a woman!! She died almost 20years ago now and not a day goes by that i don't think of her. Some people will always be inspirational in our lives i guess. Cheers, Karen.